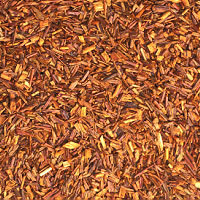 Preliminary studies show that rooibos has antimutagenic and antioxidant properties.2, 3, 4, 5 It has also shown some ability to prevent radiation damage in animals.6, 7, 8 This research somewhat supports rooibos’s traditional use to slow the aging process, and its modern use as a cancer preventative. Laboratory and animal studies indicate that it affects antibody production and has anti-HIV activity.9, 10, 11 These studies raise the possibility that the herb could be useful in aiding deficient immune responses in allergies, AIDS, and infections. No clinical trials have yet been published on this herb, however, so its efficacy is still unknown.